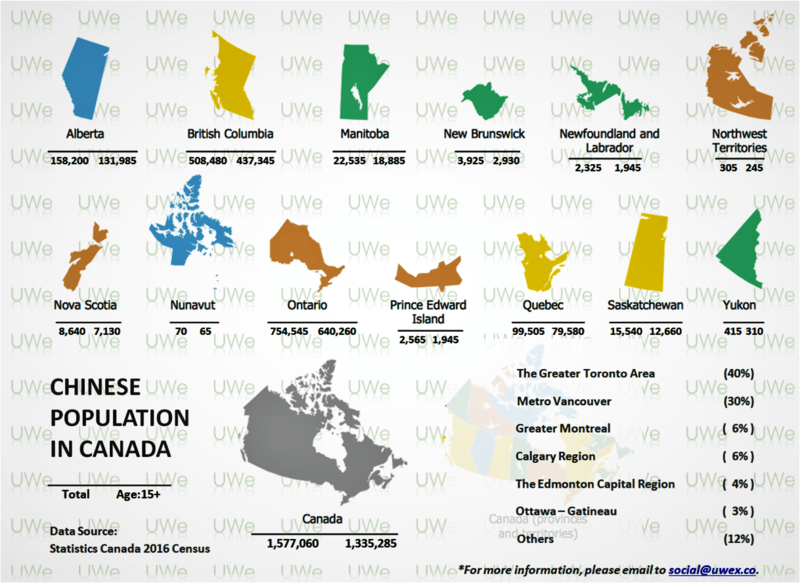 There are more than 1.5 millions Chinese living and studying in Canada. They are concentrated in 5 metropolitan areas. They spend $60 billion in a year at a 5% Y/Y growth. Every year, more than half a million Chinese tourists visit Canada and they spend more generously than tourists from other countries. When at home, more than 60% Chinese family speak Chinese ONLY. especially on WeChat, a popular Chinese social media. More than half of them have WeChat account and use it frequently to connect with others and obtain informations. but highly dependent on in-language communication. 64% believe that ads help them keep up-to-date with new product. 45% have a “strong affiliation” w./ brands advertising in their ethnic language. 45% feel closer to companies that advertise in their own ethnic language. 38%Think ads in their home language are more meaningful to them. 85% love to tell friends & family about a deal they get. Contact us for the FREE report.